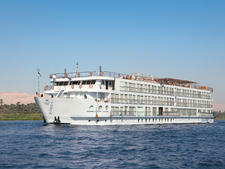 River Empress is one of the older ships in Uniworld's fleet, dating back to 2002, and a one-off (not part of a "class"). Like its fleetmates, it goes through a regular series of refurbishments to keep it looking brand new, with the most recent taking place in 2013. 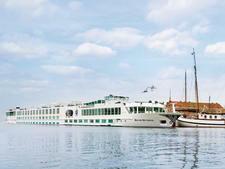 The good news is that everything looks so fresh out of the box, it's hard to tell that this 130-passenger Grand Dame is deep into her teenage years. 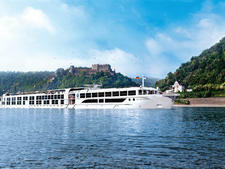 Since the ship's launch, however, river cruising has come a long way, and some of Uniworld's more modern river boats have features such as (small) swimming pools, hot tubs, multiple lounges and alternative restaurants. 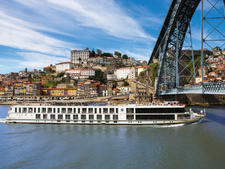 River Empress has none of these, harking back to an era of more simple river cruising, with one main dining room, an al fresco dining area (in good weather), two small lounges and a large, open top deck. 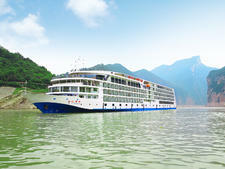 But there are three aspects of River Empress that make it exceptional, despite its age. 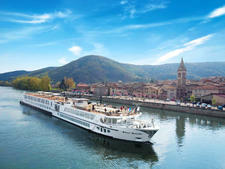 The first is the ship's extraordinary attention to detail, giving you the feeling that you really are staying in a luxury, country house boutique hotel (run your hands along the walls of the corridor, they are all padded). The second is the astonishing level of service. 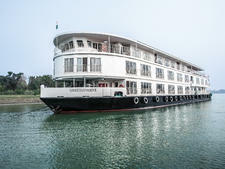 True, river ships are small and the atmosphere is far more personal than large cruise ships, but the staff and crew go out of their way from the moment you step onboard to make you feel at home. After a day or two they know your seating, drinking and dining preferences. The third is the dining, which is outstanding. Often locally sourced, and reflecting the region, meals are complemented by local wines. 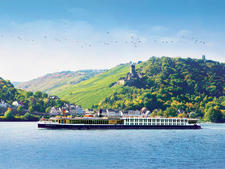 River Empress sails along the Danube, Main and Rhine, so expect Rieslings and local Alsatian and Bavarian foods to appear on the menu. 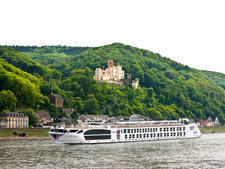 Another highlight is that the ship often sails during daylight hours during particularly scenic stretches of the river, so passengers can enjoy the view while lunching. Docking at night means you have the chance to stroll around in town after dinner. 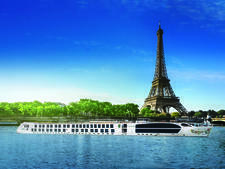 On River Empress, you'll have the best of both worlds. Not so long ago, River Empress would fit neatly into the traditional river image of elderly (65+) American and Australian couples (and the odd Brit). 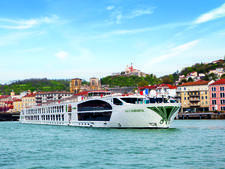 While that has not fundamentally changed, what has happened in recent years is a younger demographic (mid to late 40s) are trying river cruising for the first time, and -- in the school summer holidays and on the Christmas Market cruises -- families, often multigenerational, will be onboard. This is no accident. 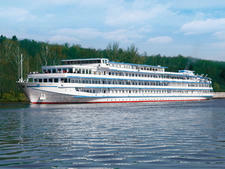 Uniworld put out its first dedicated family brochure at the start of 2016 and River Empress has a number of family cruises in July and August, with activities and care specifically for children. There are activities on offer for children as young as three, but most children will be seven years old and above. The vast majority of passengers are English speaking, all literature is in English, all staff speak English, all briefings are in English and all tours are in English. There are no announcements onboard. 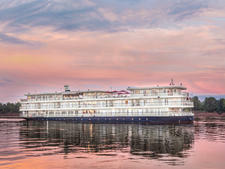 Cruise Critic’s professional photographers and our extraordinary community members have taken 369 pictures of Uniworld River Empress. 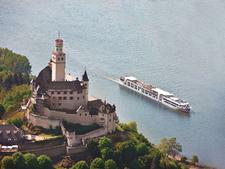 When you visit our photo galleries, you can be assured that what you see is what you get. Passengers should go casual and comfortable during the day -- slacks and T-shirts are perfectly acceptable. Bring along good walking shoes, a raincoat and something warm during the shoulder seasons (March/April and September/October). A hat is recommended for July and August, due to the heat. Evenings are a little more "dressy", but this is not enforced, and no one will frown upon you if you're still wearing the same day clothes -- although the ship might draw the line at shorts and flip-flops at dinner. There is one semi-dressy evening, and that is the Captain's Dinner when a jacket for men and dress for women is recommended. 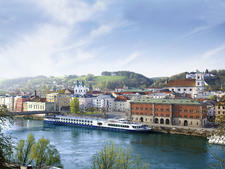 Uniworld is one of the most inclusive of all the river cruise lines, and upfront fares reflect that; it's considered a luxury river line. 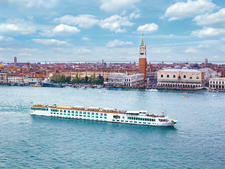 Everything except spa treatments, one or two shore excursions and a handful of premium alcohol brands is included -- gratuities, most excursions, wines and spirits, Internet and shuttles to town are all included in the price of your fare. The only alcoholic beverages that are not included are the "Diamond Selection" of brands (which include Hennessy XO brandy, Johnnie Walker Blue Label, Chivas Regal and premium Champagnes). These are however available to suite guests at no charge. 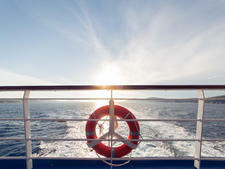 Fares are inclusive of gratuities for onboard and onshore services.